The Georgia Historical Society arranged every NEH workshop or institute with a balance of research, site visits, and scholarly lectures. Led by prominent scholars in the field, lectures and discussions provided context for the sites visits and readings. The lectures also provided an opportunity for participants to think about and discuss how to bring the themes and concepts learned during their two-week experience back to the classroom. Below you will find audio files from lectures given over the past six NEH projects. You are encouraged to use the comment box below to react to the lectures and interact with your peers. Instructions: The lectures are divided into segments approximately 15 minutes in length. Each lecture has a downloadable PDF with summary descriptions for each segment. When available PowerPoint presentations are also provided in a PDF format. 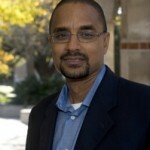 Dr. Alexander X. Byrd is an associate professor of history at Rice University and is the author of Captives & Voyagers: Black Migrants Across the Eighteenth-Century British Atlantic World (Louisiana State University Press, 2008), a history of free and forced transatlantic black migration in the period of the American Revolution. The book won the 2009 Wesley-Logan Prize in African diaspora history, jointly sponsored by the American Historical Association and the Association for the Study of African American Life & History. His essay, “Eboe, Country, Nation, and Gustavus Vasa’s Interesting Narrative” won the 2010 Douglass Adair Memorial Award for the best article published in the William and Mary Quarterly during the preceding six years. Dr. Byrd teaches The Atlantic World: Origins to the Age of Revolutions; The Origins of Afro-America; a first-year seminar in the School of Humanities on Brown v. Board of Education; and a survey of Afro American history, Blacks in the Americas. Dr. Byrd received the 2010 Presidential Mentoring Award and in 2006 won the George R. Brown Award for Superior Teaching. Dr. Byrd's lecture has been divided into twelve segments approximately fifteen minutes in length. Click here to download a PDF with detailed descriptions for each individual segment. Click here to download a PDF of Dr. Byrd's PowerPoint slides. Dr. Erskine Clarke is an expert on religion and slavery in the American South. He is Emeritus Professor of American Religious History at Columbia Theological Seminary in Decatur, Georgia. Dr. Clarke is the author, most recently, of Dwelling Place: A Plantation Epic. This book was nominated for the Pulitzer Prize in history, a National Book Critics Circle Award, and won the prestigious Bancroft Prize in 2006, awarded annually by Columbia University in New York to a work of exceptional merit in American history. This book is a narrative history of four generations of white & black inhabitants on the plantations of prominent Georgia minister Charles Colcock Jones. Covering the years 1805-1869, Dr. Clarke’s book explores the vastly different experiences of slave and slaveowner on the plantation, and it will be read by all workshop participants prior to the workshop. Dr. Clarke is also the author of Our Southern Zion: Calvinism in the South Carolina Low Country, 1690-1990 and Wreslin’ Jacob: A Portrait of Religion in the Old South. Click here to download a PDF with detailed descriptions for each individual segment. 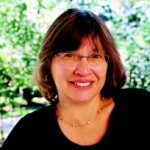 Dr. Allison Dorsey is an associate professor of history at Swarthmore College. She previously served as a Research Fellow at the Martin Luther King, Jr. Papers Project at Stanford University. She recently completed an NEH Summer Seminar on the Black Freedom Struggle at Harvard University. Dr. Dorsey is the author of “‘The Great Cry of Our People is Land!’: Black Settlement and Community Development on Ossabaw Island, Georgia, 1865-1900,” in Philip Morgan’s edited collection, African American Life in the Georgia Lowcountry: The Atlantic World and the Gullah Geechee. She is also the author of “Black History is American History: Teaching African American History in the 21st Century,” in the Journal of American History (2007). Her book, To Build Our Lives Together: Community Formation in Black Atlanta, 1875-1906, was published in 2004. Dr. Jacqueline Jones is the Walter Prescott Webb Chair in History and Ideas and Mastin Gentry White Professor of Southern History at the University of Texas at Austin. A former MacArthur Fellow (1999-2004) and a member of the American Academy of Arts and Sciences, she specializes in U. S. southern, African-American, labor, and women’s history. She is author of several books, including Saving Savannah: The City and the Civil War (a finalist for the 2009 Frederick Douglass Book Prize); Labor of Love, Labor of Sorrow: Black Women, Work and the Family from Slavery to the Present for which she received the prestigious Bancroft Prize; and Soldiers of Light and Love: Northern Teachers and Georgia Blacks, 1865-1873. In addition to the Bancroft Prize, Dr. Jones has also received the Taft Prize in Labor History, the Spruill Prize in Southern Women's History, the Brown Publication Prize in Black Women's History, plus research grants from the American Council of Learned Societies, the National Endowment for the Humanities, and the Social Science Research Council. 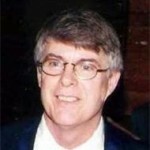 Buddy Sullivan is the author of 17 books on coastal Georgia history, specializing in antebellum agriculture and the maritime heritage of the tidewater. Sullivan served as Director of the Sapelo Island National Estuarine Research Reserve from 1993 to 2013. He served on the Board of Curators of the Georgia Historical Society from 1996 to 2007 and has been president of the Lower Altamaha Historical Society (Darien) and the Richmond Hill Historical Society. His thematic approach focuses on the ecological and environmental influences of the coast and how three centuries of peoples have adapted their lives and livelihoods to these prevailing conditions locally.